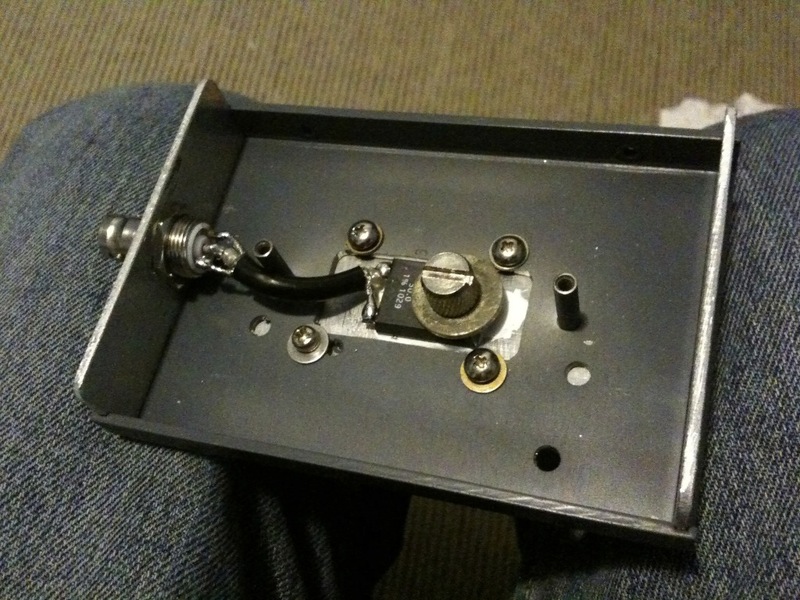 To align my SW-40 transceiver I needed to use a dummy load, something I didn’t yet have. The dummy load I bodged together in a hurry was 2 x 0.5 watt 100 ohm resistors in parallel on a BNC chasis connector. It worked, but got warm enough to discolour the resistors enough to make reading the values tricky. I had used thick film power resistors in a previous project and thought maybe I could find something suitable for a dummy load. 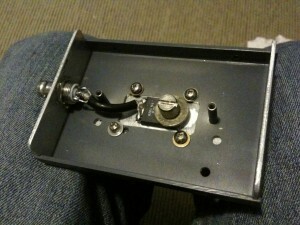 A quick look on RS components and I found a 100 watt 50 ohm resistor going for $20. Being thick film construction, I figured it would make a fairly good dummy load with no inductance and as a bonus it would be very easy to strap to a heatsink. A quick google confirmed this, it seems that this is a fairly popular way to build dummy loads. 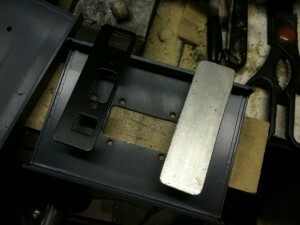 Below are a few pictures of the dummy load I built. Very quick project, only took me around an hour to build. The case is recycled, in its previous life it was a VGA splitter/amplifier. 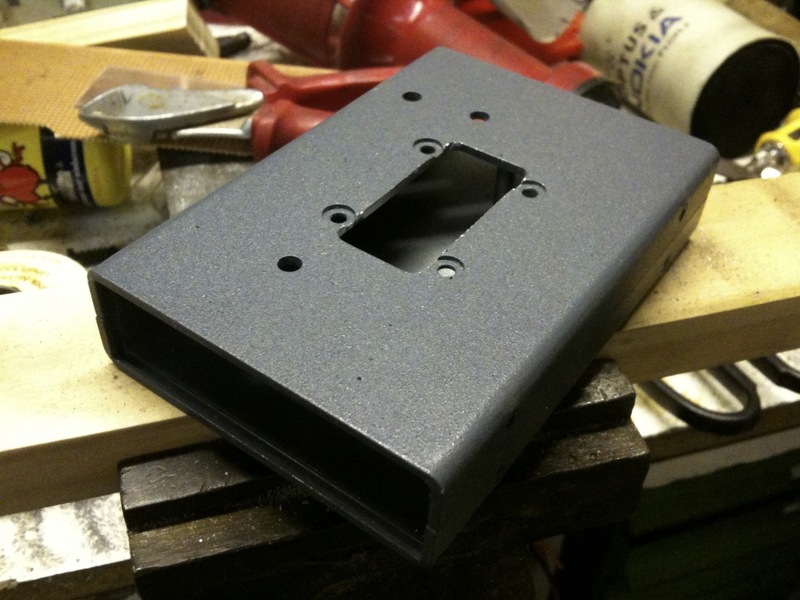 I simply cut out some new end plates and bolted the heatsink on covering the holes left by the VGA connectors. The heatsink is also recycled, nabbed from an older server junked at work. The resistor may have a high power rating, but to reach that you would need an almighty heatsink and forced cooling. 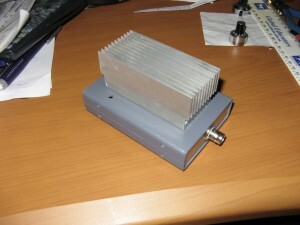 The piddly heatsink I’m using might manage 20-30 watts for a fair while, more than enough for me though.